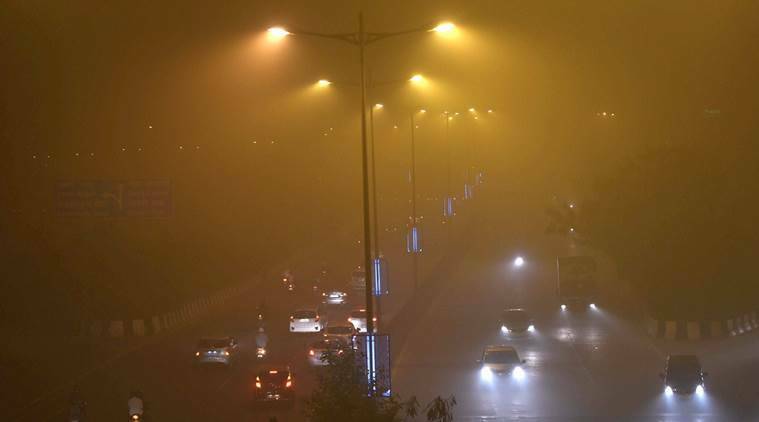 The air pollution levels in the country and specially in Delhi have reached alarming rates. 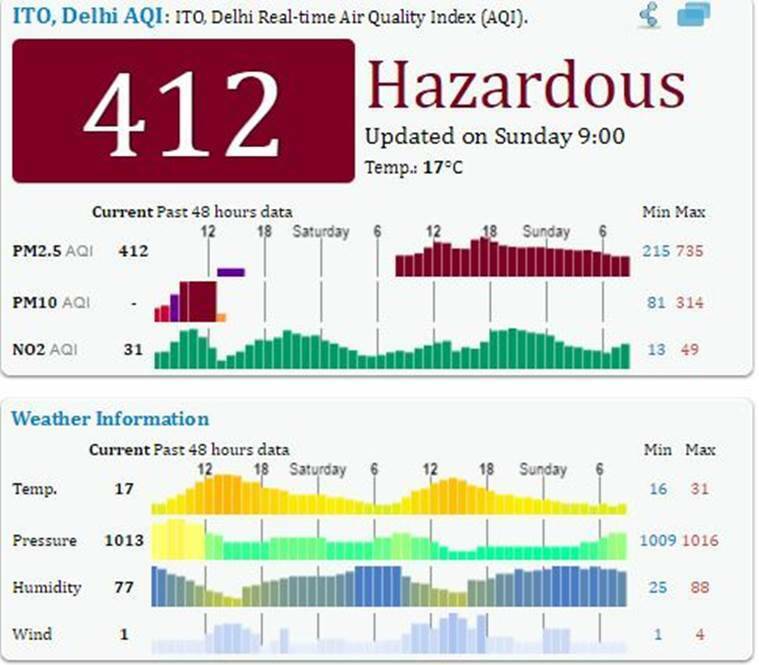 The air pollution levels in Delhi have reached an alarming rate, just a week after Diwali. With schools in Delhi being shut down to rise in the cases of respiratory diseases, the worsening air quality has had on effect on everyone. On Sunday, Chief Minister Arvind Kejriwal, who compared the city to a “gas chamber”, has announced a slew of measures to tackle the crisis. Ban on construction activity and shutting down of the Badarpur power plant were among the measures announced. With no signs of the smog letting up, we list down how one can track air pollution. 1. SAFAR (System of Air Quality and Weather Forecasting And Research) keeps track of air quality in different microenvironments across cities like Delhi, Mumbai, Pune, Ahmedabad, Kolkata and Chennai. It measures pollutants like PM1, PM2.5, PM10, Ozone, CO, among others. The SAFAR website posts information about the air quality levels for the current day and also forecasts for the next three days. SAFAR app is available for download on Google Play for Android devices. 2. AQICN website offers real-time indexing of air quality levels across the world. The search can be refined to specific locations in a city. The app is available for download on iOs, Android, and Windows phone. 3. Plumes Air Report app is available for Android and iOS users. It provides real-time information on pollution levels in a city and the forecasts the levels over the next few hours. It also helps identify the best time to go outside without getting overexposed to pollution. 4. Air Quality India available is also for download for Android and iOS users. It provides real-time Air quality data from all cities across India. The application also lets you compare air pollution data between two cities. AQICN website offers real time indexing of air quality levels all across the world. 5. The Blueair Air Quality app provides hourly updates about street-level air pollution in key cities around India. The app rates urban air quality on a scale from zero (good) to 500 (hazardous) – and is updated regularly throughout the day. Crusaders air quality meter is fitted with a PM2.5 Laser Meter, that can give real-time readings on PM2.5 particles in the air. It comes with an auto standby option. The AQM comes with an in-built Li-ion rechargeable battery available at Rs 5, 999. The Laser Egg Air Quality Monitor displays the PM 2.5 concentration in the air. Prices start from Rs 8,450. The user can also switch between constant and timed monitoring on the device. The monitor also has a Wi-Fi chip enabling internet connection, all the data recorded while connected to the internet gets stored on a cloud database. The Airveda air quality monitor measure PM 2.5 and PM 10 levels in the surroundings every few seconds. The monitor can be charged using any USB power outlet. The starting price of Airveda is Rs 8,950. According to WHO 2005 guidelines, the annual mean value of PM 2.5 is 10 μg per metre cube and hourly mean value of PM 2.5 is 25 μg per metre cube. For PM 10, the annual mean value is 20 μg per metre cube and the hourly mean value is 50 μg per metre cube. The air quality measures the annual/daily mean concentration of these particles per cubic metre of air volume. Particulate matter adversely affects human health more than any other known pollutant. PM consists of sulphate, ammonia, nitrates, black carbon, mineral dust, water, sodium chloride. PM 10, that is particles with a diametre of 10 microns or less are the most harmful which can can seep into the lungs and lodge deep inside, long term exposure to it develops risk of respiratory and cardiovascular diseases. PM 2.5, that is particles with a diametre of 2.5 microns or less. Exposure to PM 2.5 particles leads to short term effects such as irritation in the eye, throat, nose, lung, shortness of breath, sneezing etc. Prolonged exposure increases the risk of respiratory diseases.